Migrants to be CHARGED DOUBLE for using NHS! 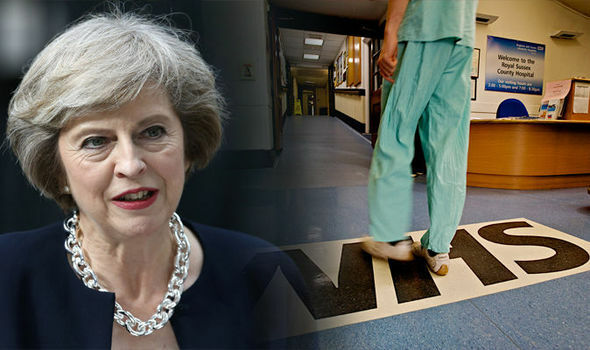 The cash-strapped NHS will now be given £200 extra in surcharges from migrants living under the UK, as outlined by ministers. Well-off migrants living in the UK at the moment have a surcharge off around £200 towards NHS coverage, that will now increase to £400 pounds. Health minister James O'Shaughnessy said: "Our NHS is always there when you need it, paid for by British taxpayers. We welcome long-term migrants using the NHS, but it is only right that they make a fair contribution to its long term sustainability. It comes as the NHS faces immense funding pressure, with many calling for Theresa May to give the NHS £50 billion and not the EU. The NHS is a vital part of of our country, and many people in the country rank the NHS as the most important aspect of public service that they cherish. Please support unity by signing up here.